POWER ROOT (M) SDN. BHD. is now a subsidiary of a public listed company: POWER ROOT BERHAD (formerly known as Natural Bio Resources Berhad), a company listed on the Main Market of Bursa Malaysia Securities Berhad. With the determination to promote these local products in the international markets, Power Root has invested heavily in research and development of these traditional herbs to create its own brand of products. 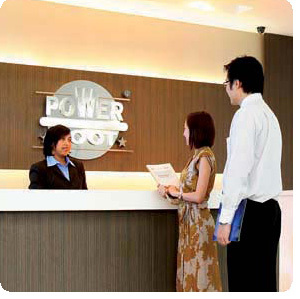 In March 2001, Power Root established a marketing branch in Kuala Lumpur to better coordinate its logistic and serve its customers more effectively. In 2003, Power Root started its very own manufacturing plant in Johor Bahru to cater for growing demands. An 18-acre phase 1 manufacturing facility is expected to be completed early 2008, incorporating modern production technology to cater for the strong market demand locally, business development opportunities abroad and new formulations development. All Rights Reserved 2003-13 ® Power Root (M) Sdn. Bhd.